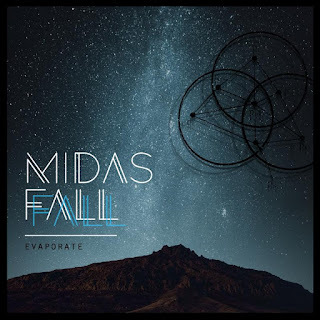 "Evaporate," the fourth album from Scottish duo MIDAS FALL (Elizabeth Heaton and Rowan Burn), is a visceral display of ferocious beauty. Deeply emotive and vivid, straight off from the desperate, savage cacophony of album opener "Bruise Pusher" to the elegant ascension of "Sword To Shield," "Evaporate" conjures stunning soundscapes at every turn. Captured in Argyll, Scotland, the album shimmers with a dark, gothic grace, delicate, and brutal in equal measure. The title-track sweeps through tidal waves of Elizabeth Heaton's towering vocals atop progressive post-rock landscapes both menacing and affirming, whilst the cinematic build of "Lapsing" and the heavenly crush of final track "Howling At The Clouds" pull vigorously at the heart. "In Sunny Landscapes" is a magical, magnificently radiant world of its own, elegantly bringing its title to life. 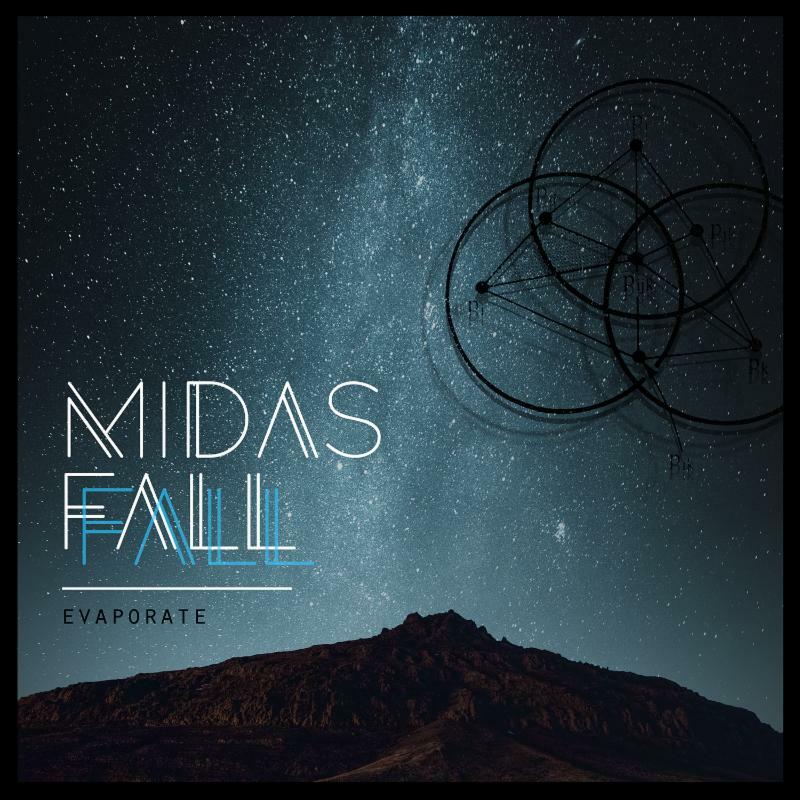 MIDAS FALL's "Evaporate" will be released worldwide by Monotreme Records on April 27 on CD and digital formats, as well as a limited pressing of 500 LPs on 180-gram vinyl (200 black and 300 clear blue/black). In advance of its release, the band is pleased to unveil the record's title track. "We are very proud to present 'Evaporate,' the first track written and my personal favorite from our upcoming album," Heaton said. "Inspired by the dark winters and landscape of Iceland, it tells a story of a mind in turmoil. It also demonstrates the new and exciting use of strings and synths in our music that you will hear more of on the album." Listen to "Evaporate" at Earsplit Compound. For Evaporate preorders, point your browser to Monotreme Records. Combining elements of electronica, post rock, and alternative with progressive and gothic undertones, MIDAS FALL has over the course of their existence carved a distinctive and captivating sound, creating taut, shimmering soundscapes led by the hauntingly melancholic vocals of Elizabeth Heaton - a sound described as, "powerful yet fragile, devastatingly beautiful and beautifully devastating" (The Founder Magazine).